Owls are symbolic of intuition, knowledge and wisdom. As a personal totem the Owl may provide inspiration and guidance. My owl is a graphic representation of the Owl and one that takes a more whimsical look at this fantastic creature. 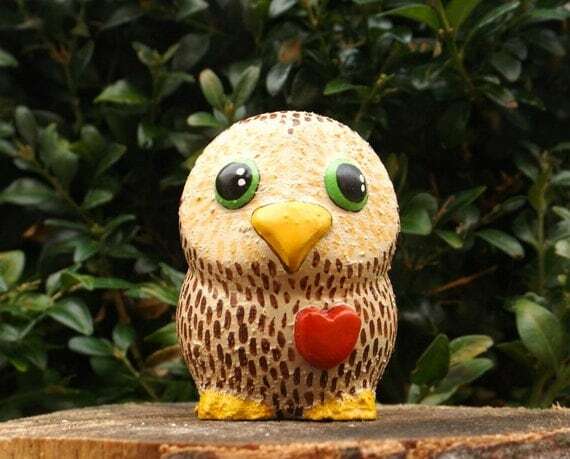 Owl Love you Forever - Owlet figure with heart. Owl love you forever. This cute little Owlet is looking for a new perch and nest, having a lot of love to give. He would make a great Valentine gift. Approx 2 tall. Original resin figure embellished with clay and epoxy, painted with artists acrylics and given a protective coat of varnish. This chap has a rough textured and tactile surface. Part of a limited collection of my Owlet figures. Here we have a little brown bear. This chap is a polymer clay sculpture. Painted with acrylic paints and sealed with varnish to protect his lovely coat. 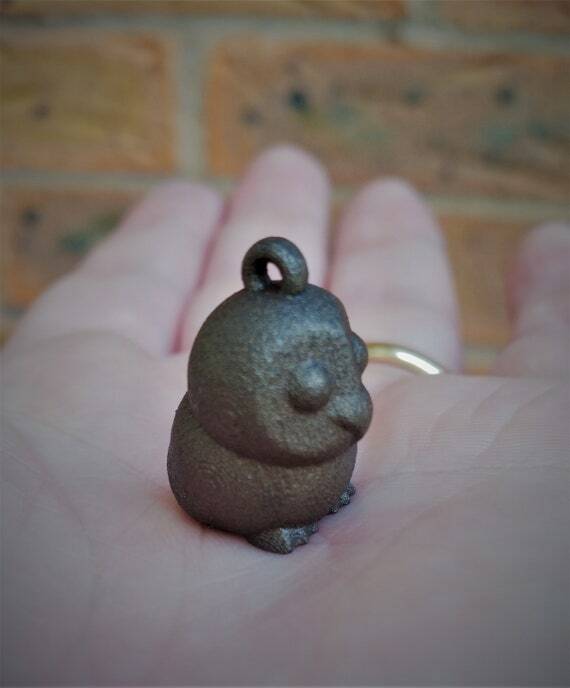 He stands at approx 2" x 2"
He looks like he would be happy on a desk or a mantle piece.